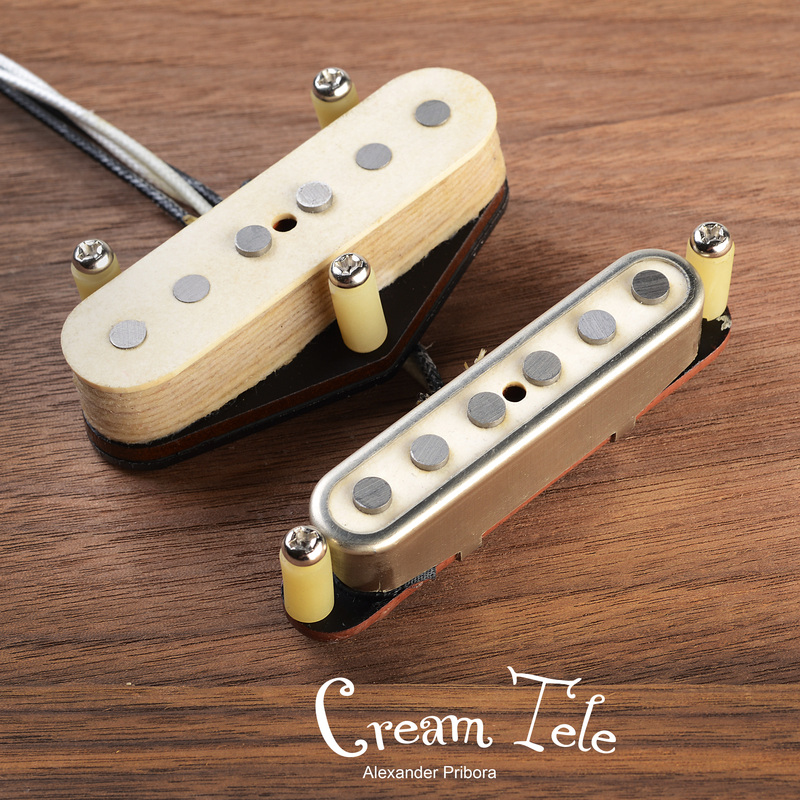 Alexander Pribora scatter wound pickup set fit Fender telecaster with open Nickel-silver cover. Single coil is made of White vulcanized fiber and staggered alnico V magnets. Additionally glued and varnished. Glue eliminates the possibility of detaching the flatwork from the magnets, and the varnish adds additional structural strength and prevents electrical shorting wire on the magnets. After the wax, white fiber has a cream tint. Absolutely one of the best tele pickup set I’ve ever owned !! The cream color on my 69 ri pink paisley telecaster sets it apart from the rest . Plenty twang in the bridge and the neck is like no other tele I’ve owned !!!! In a good way I did set it up with a 4 way switch and the extra position is great too!!! Oh baby!! I’ve been building guitars for performers for a while and the Creams I’m my Tele just blow every artist away. 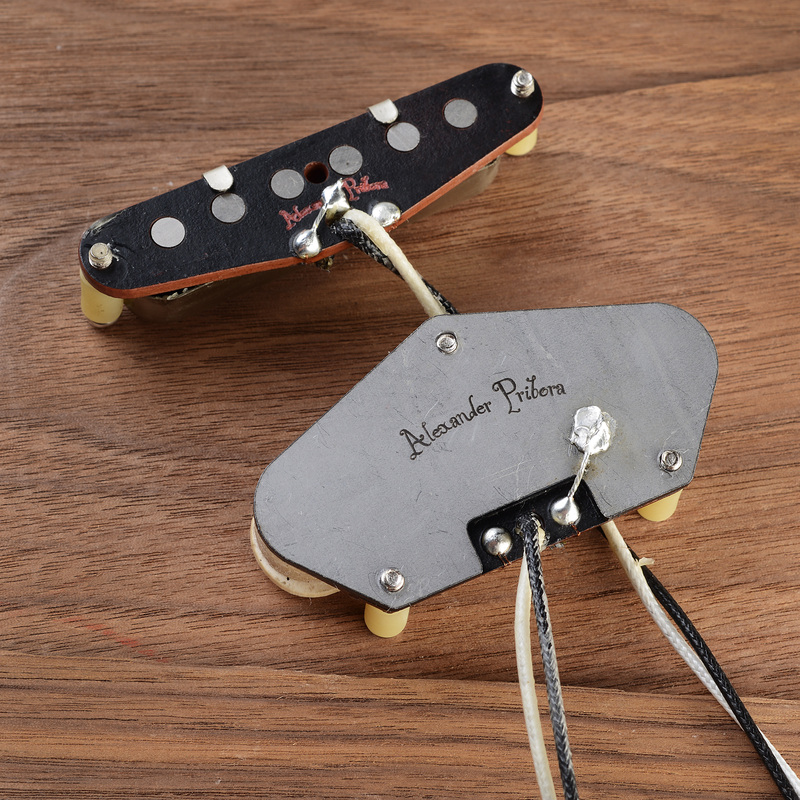 The Bridge is unbelievable, you still have your Tele twang on the neck; however, the Bridge kicks in an assertive grip that snaps your head back. The Life frequency is absolutely perfectly attuned in conjunction with Brilliance/Presence notches that blend without over powering. Again, still plenty of twang. But punch !! These Creams make other high end pickups sound absolutely pale. Watch Alex’s video ! !